CVS said Thursday it's making an anti-opiate overdose drug available without a prescription in 12 more states. Deaths in America caused by accidental overdoses to prescription medications have quadrupled since 1999. CVS wants to do something about that. The company said Thursday it's putting an opioid antidote on its shelves in 12 states. The drug, Naloxone, reverses opioid overdoses and is already available without a prescription at CVS's in Rhode Island and Massachusetts. The following states will now have access as well: Arkansas, California, Minnesota, Mississippi, Montana, New Jersey, North Dakota, Pennsylvania, South Carolina, Tennessee, Utah and Wisconsin. Opioids include heroin and legal prescription pain medications such as oxycodone (Vicodin), which are addictive and commonly abused. 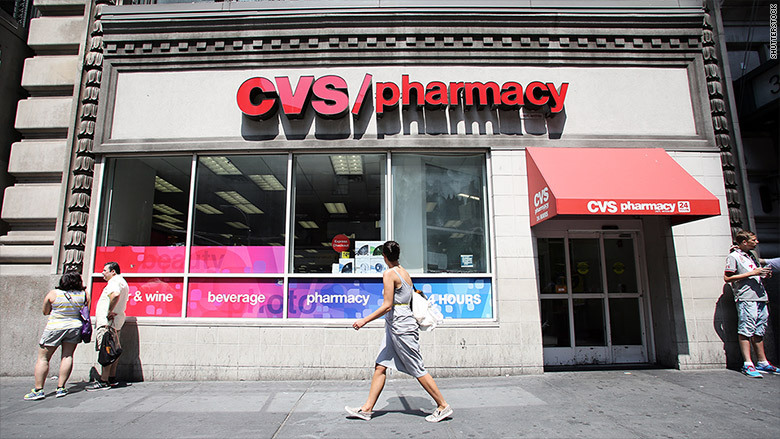 "Over 44,000 people die from accidental drug overdoses every year in the United States," CVS vice president Tom Davis said in a statement Thursday. "By providing access to this medication in our pharmacies without a prescription in more states, we can help save lives." He added that the company is looking into ways to make Naloxone available in even more states. Company spokesperson Michael DeAngelis said states must set up programs allowing the medication to be dispensed without a prescription, which "is typically done through a state's department of health or board of pharmacy." Naloxone has been carried for years by emergency response teams and police departments, and can be administered via a shot or nasally. The antidote expansion is one of several unique initiatives by the retailer. Last year CVS said it would stop selling cigarettes. It also works with the Partnership for Drug-Free Kids to provide a unit to police departments where the community can safely dispose of drugs.